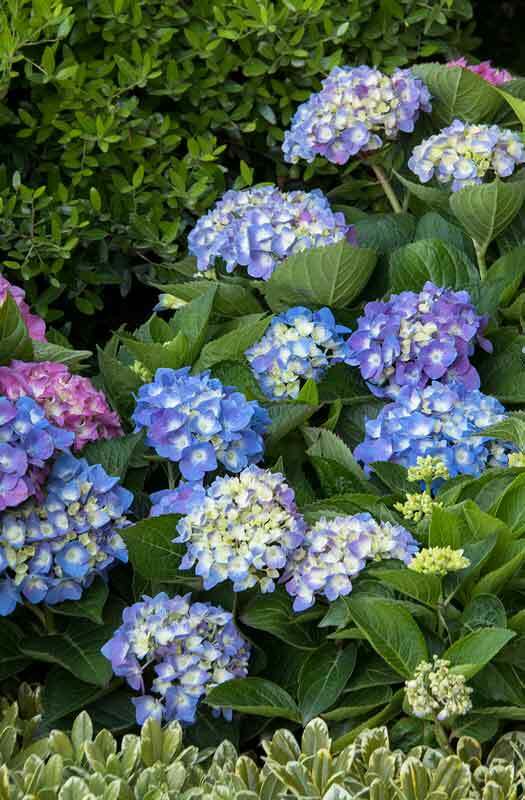 It can be confusing on how and when to prune hydrangeas. Here’s a cheat sheet to help guide you. H. macrophylla – These flower on old wood so prune minimally only after blooming. H. arborescens – The flowers grow on new stems, which need to be pruned back to 12 inches in late winter. H. paniculata – The flowers grow on new stems, which need to be pruned back to 12 inches in late winter. H. serrata – No pruning needed as the flowers bloom on old wood. H. quercifolia – These flower on old wood so prune minimally only after blooming. H. petiolaris – This vine version should be pruned to control height since it flowers on new stems.